The following piece is a guest post by Sarah Hill, the CEO and Chief Storyteller for StoryUP VR, a global VR native media company based in Missouri. Guest posts do not necessarily reflect the opinions of this publication. Read more about MediaShift guest posts here. With 500 bucks, a ballerina and a 360 video, we set out to see whether people would watch a 360 video longer than they would a regular fixed frame video if the content, ad spend and copy were exactly the same. When I say “fixed frame,” I mean a 16:9, flat video that does not have meta data injected and in which the audience does not have the ability to turn the video either with a cursor or in a headset. 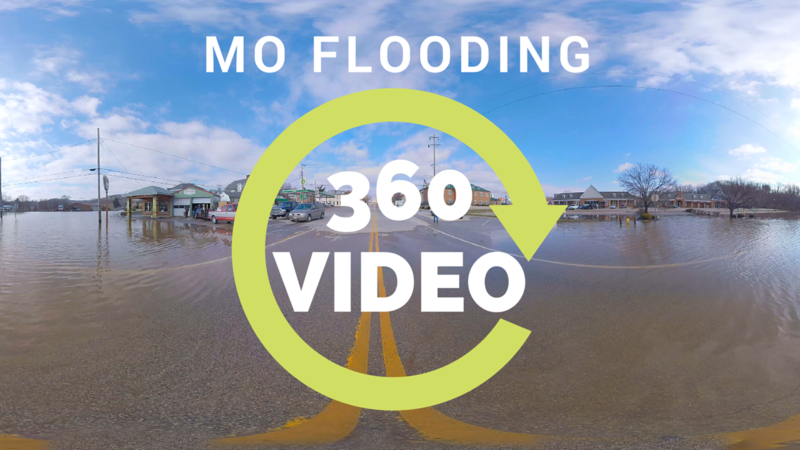 Before we get into the weeds, there are several ways to view 360 (also called “spherical”) video: with your mouse, with your finger on mobile or by turning your head in a headset. Another way to watch immersive video is by turning your phone on its side to create what’s called a “magic window.” The video moves as you turn in a circle. Because virtual reality head-mounted displays are so new, most people, at least in Missouri, don’t have them yet. They’re viewing the spherical videos we produce on the devices they already own like laptops or mobile devices. We decided to do a case study to test our anecdotal observations that people watch a 360 video longer than they do a fixed frame video, even outside a headset. Full disclosure: StoryUP is a native VR media company. 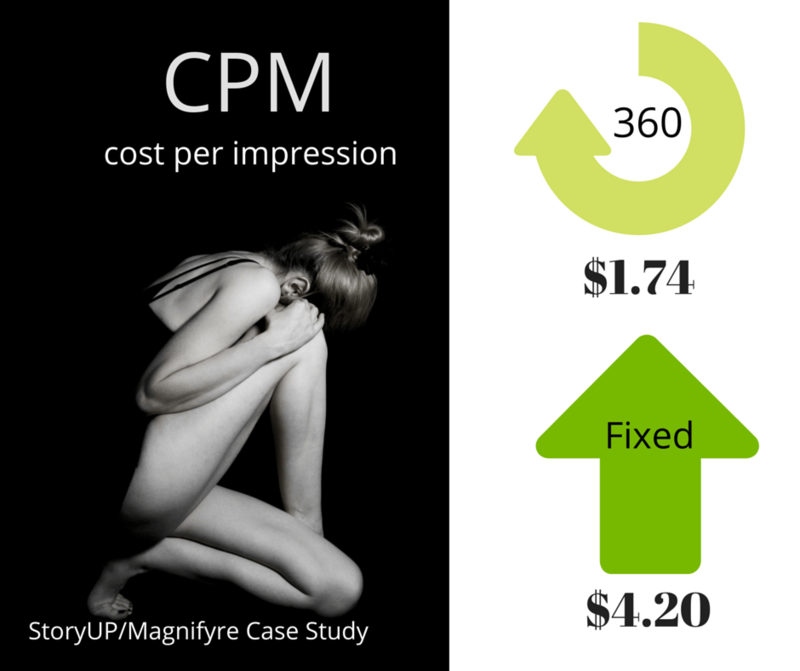 We commissioned Magnifyre to conduct an independent case study. You can read their full report here. Here’s the jist for those of you with attention spans of a gnat. Despite the same copy, ad spend and content, average percentage viewed for the 360 video was 28.81 percent higher and double the viewers watched the video to 100 percent. You can see the 360 Test Clip here. 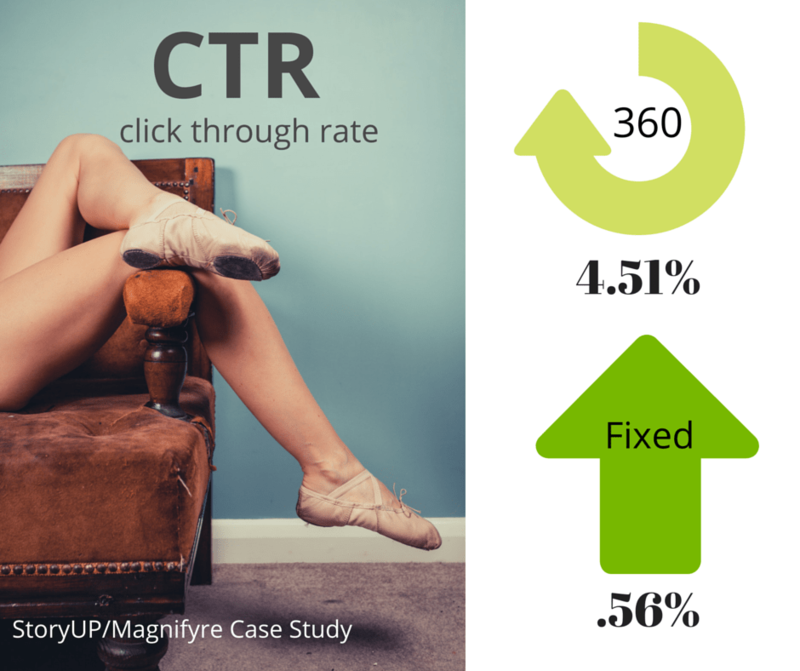 360 video also beat fixed frame video in terms of views, cost per impression (CPM) and and click through rate (CTR). We find these numbers interesting for 360 video as this is content that’s likely being consumed outside of a headset, and it’s getting more shares than fixed frame video. Facebook 360 videos don’t work with Google Cardboard, only Samsung Gear VR. Facebook doesn’t give us the ability to see where viewers watched the video — whether it was in a GearVR or elsewhere — but we do know that 98 percent of the views on the ballerina video were on mobile. In the coming months, we’ll also test YouTube 360 vs. Fixed Frame video. The killer metric for VR video is empathy. How does allowing someone to step inside your story enable them to better understand it? Science as far back as 2006 has shown virtual reality not only aids memory recall, but it also can create false memories. For VR Journalists, false memories are likely not your goal. If you’re a marketer, creating a memory that does not otherwise exist could be a valuable tool. 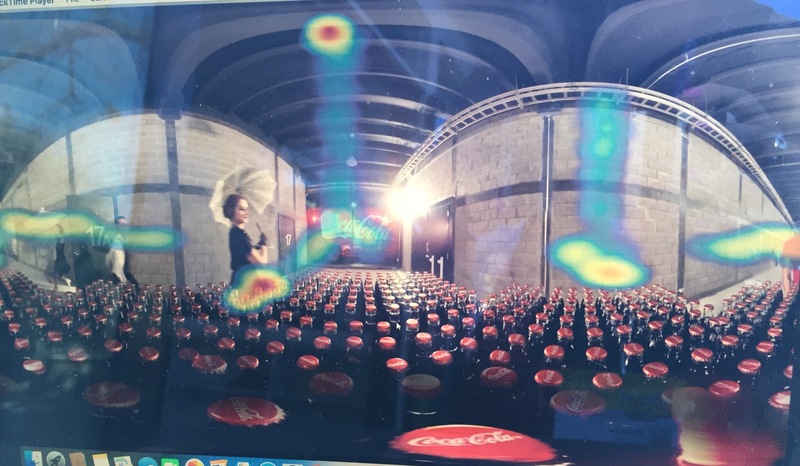 Beyond just likes, shares and CTRs, several VR analytics companies are working on emotion metrics. So in addition to heat maps that show where in the 360 sphere your viewer is looking, some day we will also know how our stories made viewers feel. These increased data points could lead to what some marketers are calling a ‘datapoolooza’ with a hyper-personalization of immersive video products. 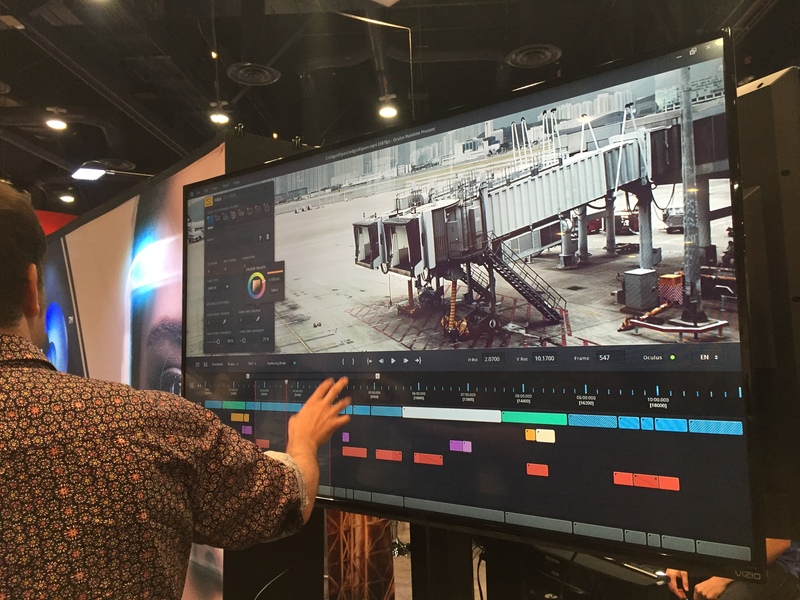 Throw in new software tools for immersive storytellers like Liquid Cinema, which reorients the sphere on the cut line, and VR storytellers have the ability to precisely target the viewers’ attention … and then measure the actions they take at different gaze points. The “internet” is no longer flat. Just as brands had to make their sites responsive for mobile, so too will they have to make them responsive for VR, because the “internet” is becoming a place you step into. Even before VR headsets have penetrated most markets, the immersive media that goes inside them is increasing the time viewers spend on online video stories. If you want a glimpse at the depth of the coming “metaverse,” read “Ready Player One” by Ernest Cline. Stephen Spielberg signed on to direct the movie. It doesn’t take a Hollywood movie for us to understand that flat video will play differently in an immersive world. Immersive media could future-proof your stories by reducing ad spend per impression and increasing the time spent with your story. Sarah Hill is the CEO and Chief Storyteller for StoryUP VR, a global VR native media company based in Missouri that operates separate journalism and brand studios using immersive media.